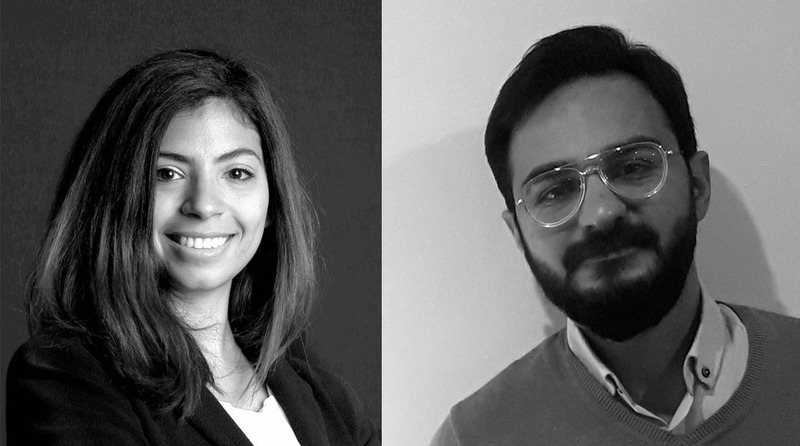 Rana Mahmoud and Mohsen Sharifi from University of Ghent introduce a planned design methodology for sizing GEOTABS and secondary energy sources. Ongoing development of an easy-to-use hybridGEOTABS design methodology The design of hybridGEOTABS requires the sizing of both the GEOTABS and the secondary energy sources consuming and expensive – especially in feasibility stage, or rule of thumb by experienced designers, that are not validated for a wider range of typologies and climates throughout Europe. So, this project is providing a design methodology for making the hybridGEOTABS design process more accessible to building HVAC designers, and more economically feasible. In the process of developing this design methodology, we are developing an automated methodology to (1) calculate dynamic heat demand of buildings starting from general building data and (2) size the main hybridGEOTABS components using these heat demand curves. This automated process will be used to assess the sizing of numerous cases representing the EU building stock, since the whole process is automated. Easy-to-use design guidelines will then be derived from the analysis and meta-analysis of the obtained sizes for a variety of buildings and climates, taking into account the effects of optimized control. 1: To calculate heating and cooling demand curves starting from building stock data: The building stock data contains general information about the building, similar to the data that are available for system designers in the design stages (e.g. building volume, gross floor area, U-values…). We developed a methodology that allows obtaining building energy simulation models in an automated way starting from general building information data. These data were gathered from a whole population of building stock data. An essential part in this modelling process is using a model of multi-zone archetype building that is adapted to the investigated typology (the typologies of focus in this research are offices, schools, elderly homes and multi-family buildings). Each of these archetypes is fitted to the building stock data of the individual cases. The output of this process is dynamic heating and cooling demand and load duration curves. 2: To size main hybridGEOTABS components: On the other hand, a methodology to size main hybridGEOTABS components is developed that starts from the heat demand curves, calculated in previous part of research. 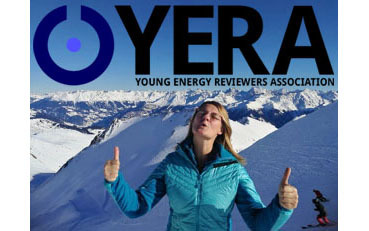 The idea of this methodology is that the heating and cooling ‘baseload’ is covered by the GEOTABS, and the residual loads by the secondary system. By definition, the baseload is considered the maximum load that the TABS can provide (being a system with high thermal inertia), without wasting energy (as a result of a quick changing between heating and cooling). An algorithm is developed that allows to split the heating and cooling load curves from step (1) into a baseload and residual load, thus to size the secondary system from the maximum residual loads that appear. The figure above shows how the two parts of this research interact: the black curve is a heat demand curve which is output of the first part of the research. The red curve is the power of GEOTABS which is the output of the second part of the research. The blue region is the share of the secondary system. This post presents some preliminary simulation results of the Model Predictive Control (MPC) implementation of the Infrax office building. This building consists of four floors, each containing multiple zones that are simulated individually. The ventilation of is controlled individually per zone, while the concrete core activation is controlled individually per floor. The heat and cold production devices are also controlled by the MPC, but these are not discussed in detail here. The MPC is configured to minimize the electrical power use [kWh] while maintaining the zone temperatures between 22 and 24 degrees. 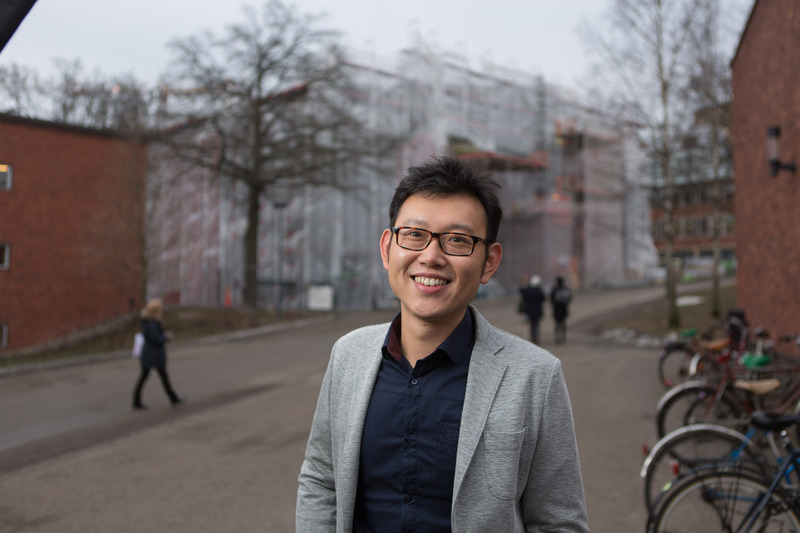 I am Qian Wang, I joined the hybridGEOTABS project in February 2016 as a research specialist at Uponor after my PhD in KTH Royal Institute of Technology. My research focuses on Low-temperature heating and High-temperature cooling technology. In current hybridgeotabs project, I am exploring the business model development in different European countries, as an approach for promoting the MPC GEOTABS for different buildings typologies. The approach assesses the strategies from both technical and business perspectives for future large-scale implementation and optimal design/installation of hybridGEOTABS system. One of the aims of the hybridGEOTABS project is to design an innovative Energy Dashboard (ED) and implement a prototype in a cloud-based loT (Internet of Things) platform for GEOTABS. The Energy Dashboard incorporates measurement and sensor data from the individual modules, algorithms for performance evaluation, monitoring and diagnostics, and a user interface for providing the information to user segments. The prototype dashboard will be developed on an existing commercially available IoT platform that can be easily commercialized and adapted in the future for other building applications and communication applications. The approach starts by identifying the end users/customer segments of the Energy Dashboard. Three key segments were identified: residents, energy managers and public owners. The approach was initiated by an innovative method that engaging the users and crowd the co-creation process, namely open innovation. The co-creation process comprises certain strategies, such as gamifications, voting and crowd reaching, in order to get maximum feedbacks and fulfil the gaps between market needs and current Energy Dashboard solutions. Some key outputs of this process were presented in the images above. Another part that we are exploring involves investigating the conceptual framework and generation of business models for MPC GEOTABS technology. The investigations are done by compiling technical, political, economic, social and environmental analytical frameworks of MPC Geo-TABS . The key elements of the business model Canvas are identified and analyzed in this application. Theoretical bases of business model generation are verified by substantiating arguments and potential profit analysis for stakeholders via four demonstration buildings. The focused building types/cases involve office building, schools, elder-care houses and multi-family house. Methods to verify the proposed value propositions in the business model are given special interests. The pilot results provide an early-stage guidance and added value for the future large-scale commercialisation in EU building market. 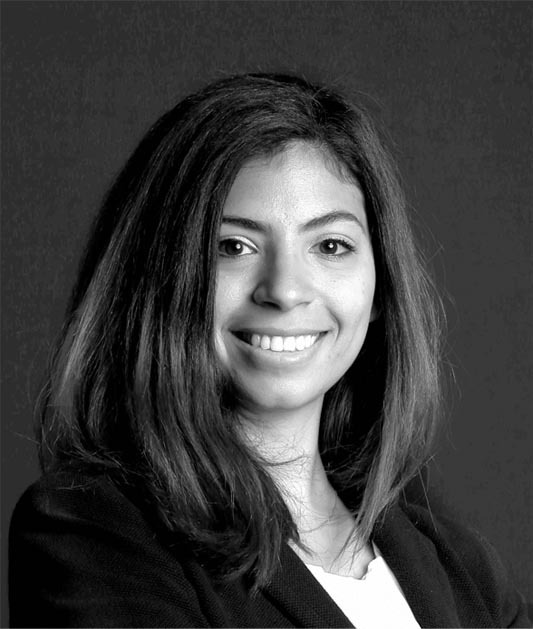 I am Rana Mahmoud, I joined the hybridGEOTABS project in December 2016 as a PhD researcher at Ghent University. 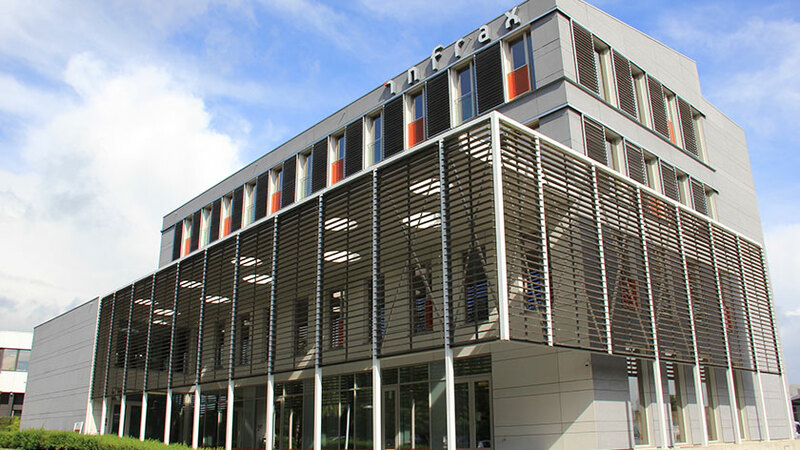 My research focuses on studying the building stock in different European countries, as an approach for analysing the energy demand for the different buildings typologies to assess the feasibility of achieving an optimal sizing for the hybridGEOTABS system. One of the aims of the hybridGEOTABS project is to design a low-cost and efficient energy system, through facilitating the predesign phase for engineers and architects to reduce time and costs for simulating case by case project. An easy-to-use procedure will be proposed based on different typologies classifications with different energy requirements that would help designers on choosing the right sizing of the system according to these classifications. The research question is how to simulate in an automated process vast amount of building stock data to obtain load duration curves that will guide the optimal sizing of the GEOTABS system components for the different building typologies. Over the last few months, GEOTER has been working on selecting the most suitable way to monitor underground temperature and the communication and connection systems as part of WP4: Concept and Impact Validation. It will enable us to know, with time, the evolution of the geothermal resources, according to the demand of the buildings. 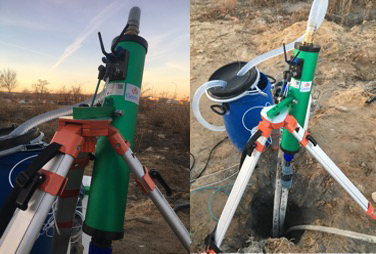 In this context, GEOTER have developed the Enhanced Geothermal Response Test (EGRT) based on usage of a new equipment setup for the realisation of an on-site thermal conductivity test and continuous monitoring of the geothermal probes. It will provide us with geothermal field sizing optimisation and provide us the necessary data oriented to the MPC controller to decide the thermal management of the buildings.